One of my favorite things about living in Seattle is the enormous philanthropic community and spirit of giving shared by all who live here. Wednesday, May 9th is the Seattle Foundation’s GiveBIG event. Truly this is my favorite charitable giving event of the year and each Spring I sit down the weekend before and spreadsheet out the non-profit organizations that I plan to make donations to on the big day. This year I am committed to support the organizations that are most important to my friends and clients. So let me know where you will be “giving big” on Wednesday, and I will make a donation to that organization in celebration of you! “[Rainier Valley Food Bank is] hugely important in SE Seattle, as food scarcity is a big issue here, [and] even more so now with gentrification pricing people out of their historic neighborhoods,” shares Andie B. The Rainier Valley Food Bank offers a few different programs to the community, including an on-site food bank for those who would like to choose their own food, home delivery for people with disabilities, and a “To-Go Food Bag” for people who do not have access to a kitchen. “I have worked there as a volunteer and see first-hand that the money goes directly to feed hungry people,” shares Lyda H.
Every Sunday from 7:45-8:45 am, anyone is invited to attend breakfast at First Church, an inclusive, progressive United Methodist congregation. “I work for Social Justice Fund, and we fund grassroots movement building organizations in the NW,” says Palmira F.
A few of these invaluable services include domestic violence intervention, a “baby boutique” with free items for children ages 0-17, early education, housing help, and so much more. Local resident Jeanne S. supports New Beginnings, and this important organization services people who are affected by domestic violence. 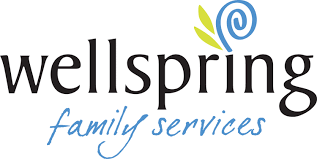 Whether someone needs toattend a support group, needs to call a 24-hour helpline, gain access to children-focused services, consult with an attorney for free, and more, New Beginnings is there is assist those in their time of need. 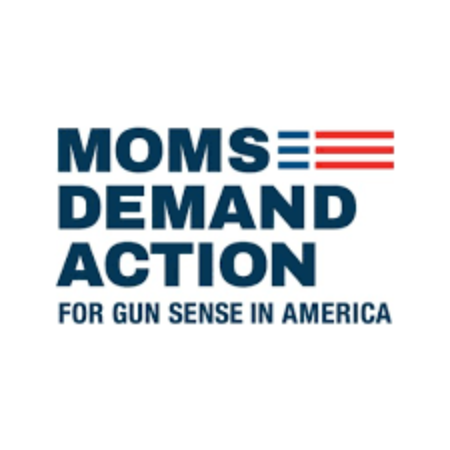 Founded by Shannon Watts in response to the horrific shooting at Sandy Hook Elementary School, Moms Demand Action is made up of a grasswork network of people who are influencing change at the local, state, and national levels. “Solid Ground is a wraparound favorite; [they offer] so many good programs with a mission of ending racism and poverty,” says Tonya H.
This Seattle non-profit “works to end poverty and undo racism and other oppressions that are root causes of poverty,” and they are dedicated to helping families find and keep housing, get access to food(and learn more about growing and cooking food), provide transportation, and so much more. Local resident Lyda H. recommends supporting Burien C.A.R.E.S., a non-profit community shelter for Burien’s stray animals. In addition to the work they do to adopt out unclaimed animals in Burien, C.A.R.E.S. facilitates spay and neuter surgeries, provides education on animal welfare, provides city pet licenses, removes dead animals from Burien’s public roadways, and much more! Click here to learn more about Burien C.A.R.E.S. “[I support] KEXP because there are so few independent ANYTHINGS left in our world and I hate homogeny!” Good point, Sally J.! KEXP is a Seattle non-profit, and their unique services include in-person, broadcast, and online programming. In addition to their radio station 90.3 KEXP-FM Seattle, they also facilitate hundreds of performances every year, and many of these concerts are free to the public! Click here to check out my January 2015 Newsletter! 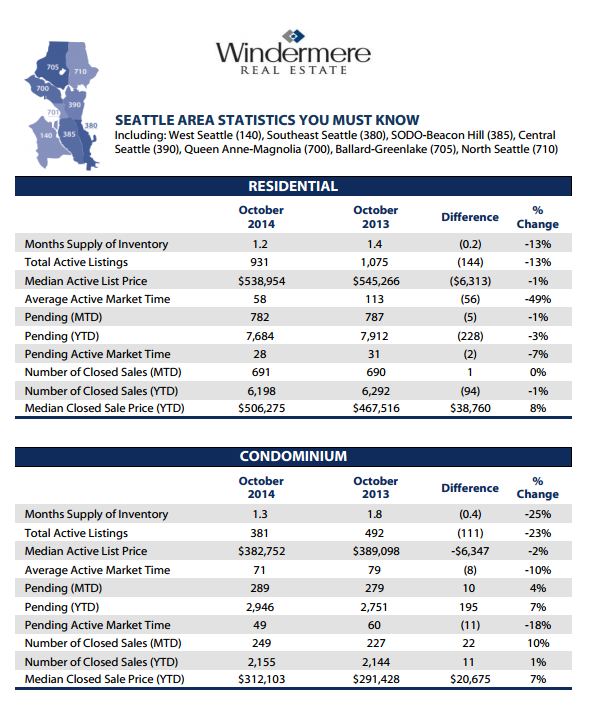 Curious to see how 2014 is officially shaking out so far in our Seattle metropolitan housing market? How does it compare to 2013? Check it out!